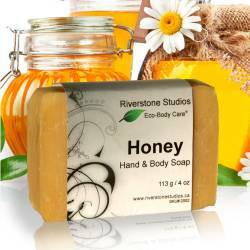 Riverstone Naturals handmade Honey & Annatto Soap provides a gentle, deep cleansing wash for the face and body. Infused with Annatto Seed and organic Saskatchewan honey to reduce the signs of wrinkles, sun damage, blemishes, while tightening up the skin and making it look younger. 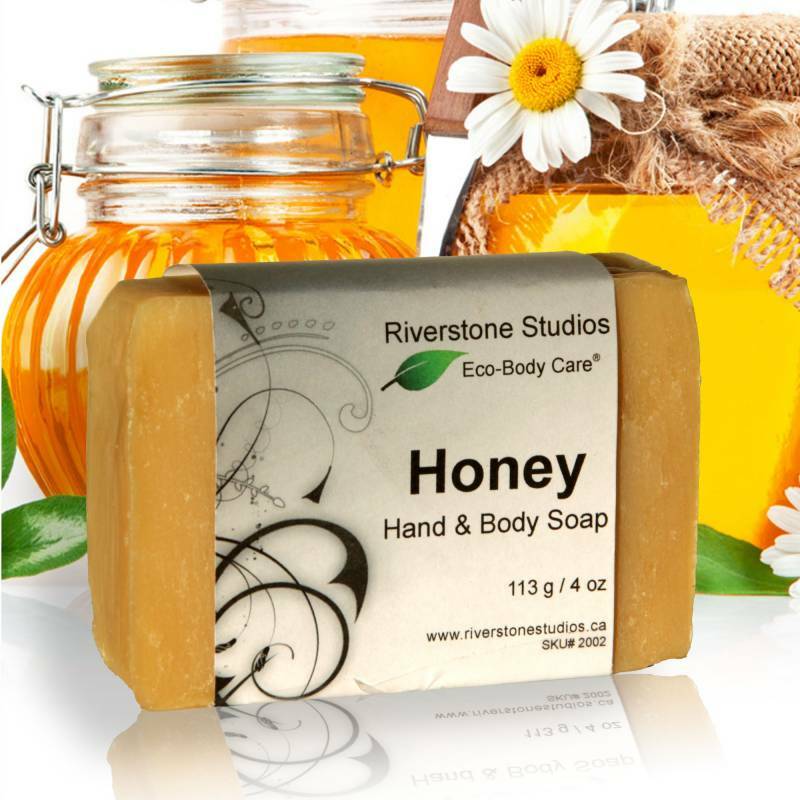 Honey Soap is ideal for oily or sensitive skin and gentle enough for the entire family. 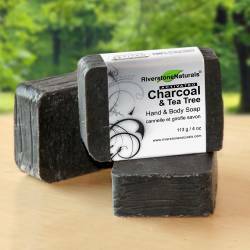 * Naturally helps the skin retain moisture while gently cleaning even tiny pores. 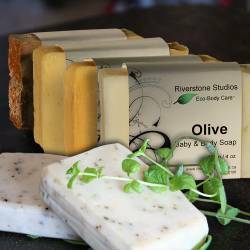 * Gentle lathering face and body wash for normal, dry, oily and sensitive skin. * Infused with Annatto Seed and organic Saskatchewan honey to reduce the signs of wrinkles, sun damage, blemishes, while tightening up the skin and making it look younger. * No fragrance, perfume or scent added, slight scent of honey.